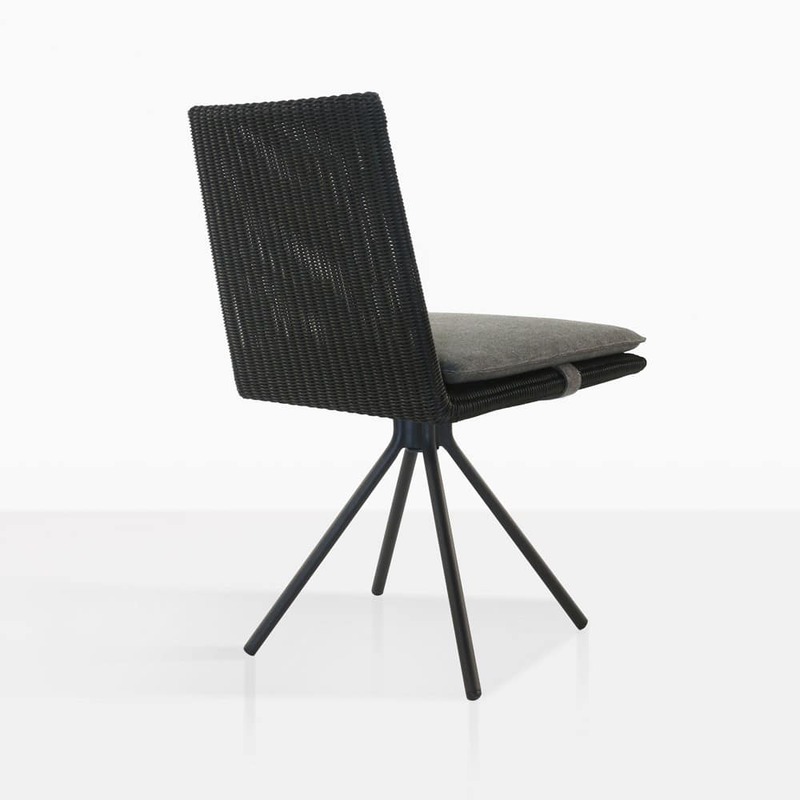 The Loop Swivel Outdoor Dining Chair in black wicker has a bold look, that is modern and fresh. 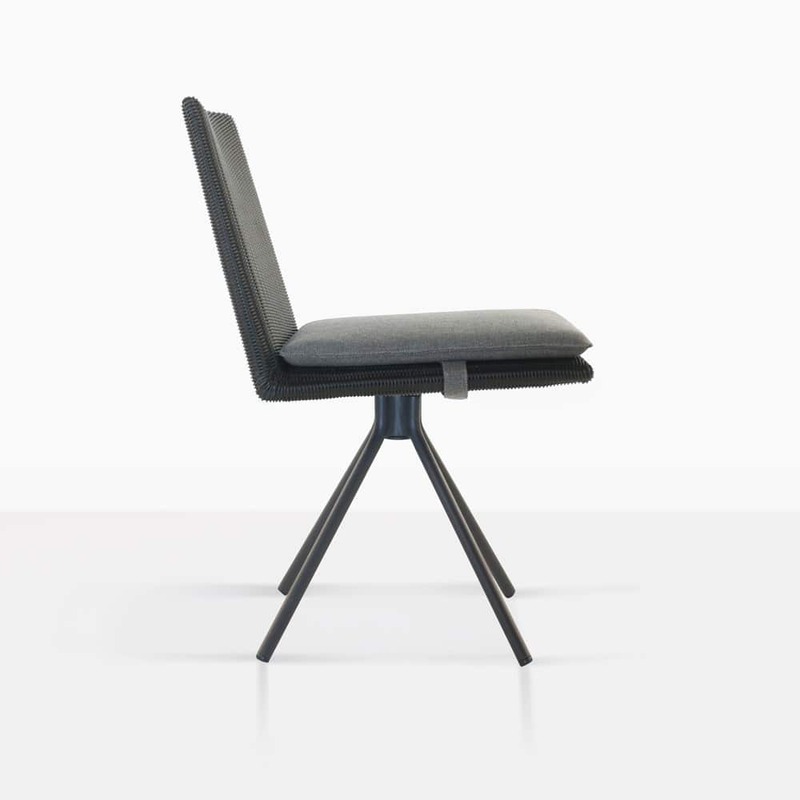 The swivel function adds a casual feel and makes dining with a large group of friends a little easier. 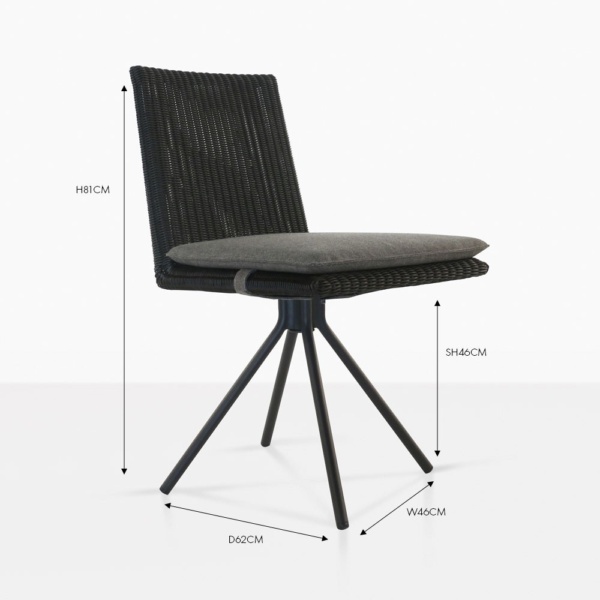 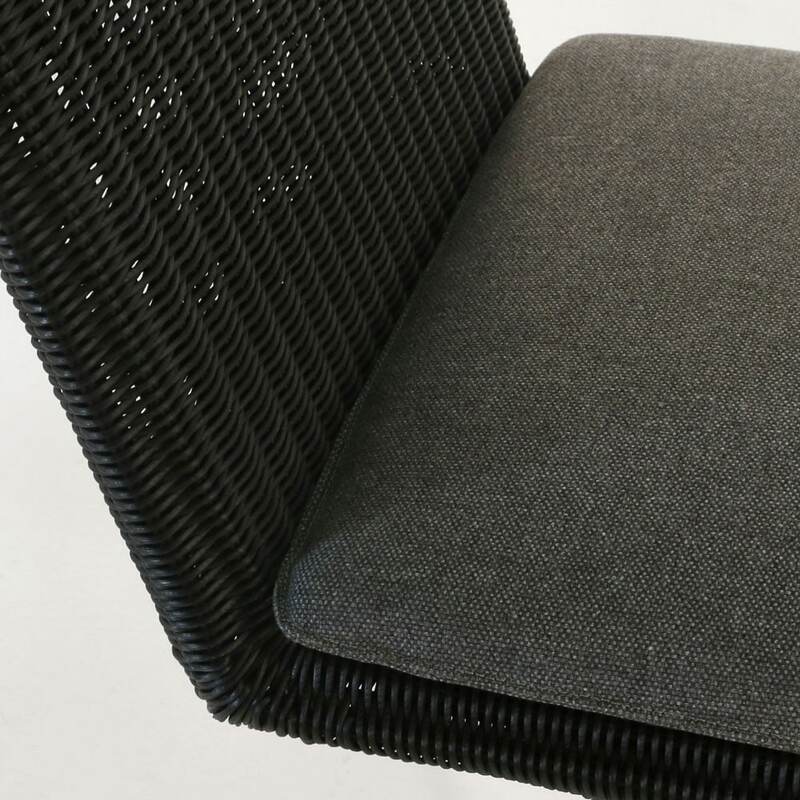 The base is made with powder coated steel and the seat is beautifully woven outdoor wicker. The Look Dining Chair comes with a removable Sunbrella® cushion for added comfort.